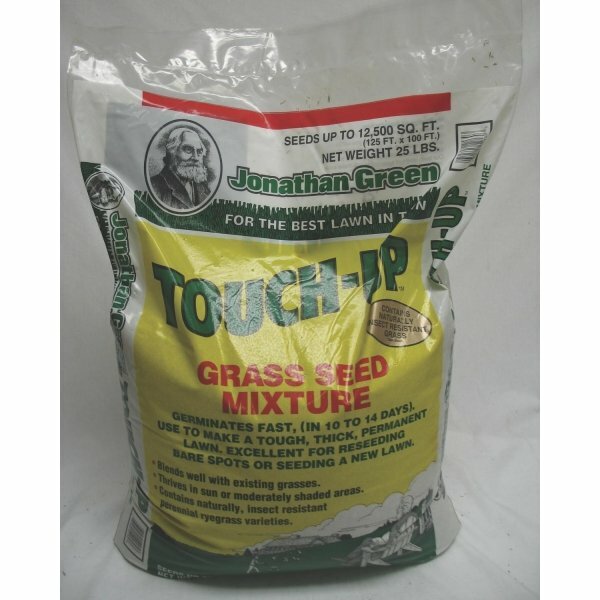 Repair and improve the look of your lawn with this grass seed by Jonathan Green. Great for filling bare patches in your lawn and may be used to overseed your lawn for a thicker lawn. May be used on a variety of lawns. 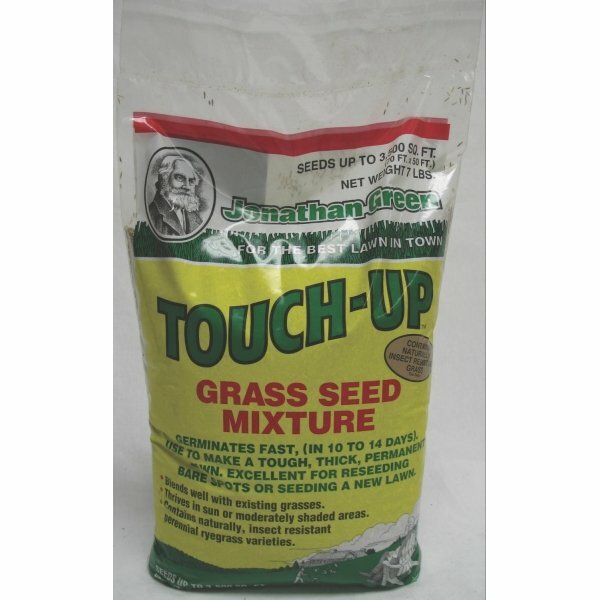 Touch-Up Grass Seed has different options and/or variations, please choose below. This product cannot ship to AK, AL, AR, AZ, CA, FL, GA, HI, IA, ID, KS, LA, MN, MO, MS, MT, ND, NE, NM, NV, OK, OR, SC, SD, TX, UT, WA, WY due to state restrictions. 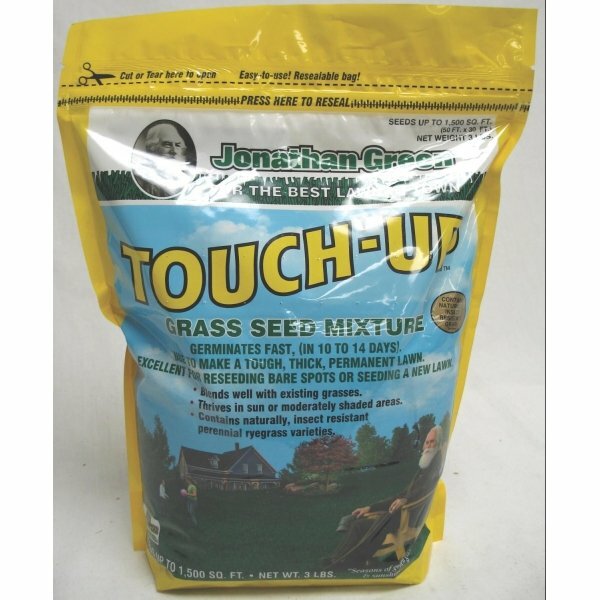 The Touch-Up Grass Seed by Jonathan Green is made to fill in bare spots in the lawn. May be used for overseeding and germinates quickly to make your lawn look great. This high quality grass seed is golf course quality and contains perennial ryegrasses that blend in well with your existing grass. 3-lb. - 1,500 sq. ft.
7-lb. - 3,500 sq. ft.
25-lb. - 12,500 sq. ft.